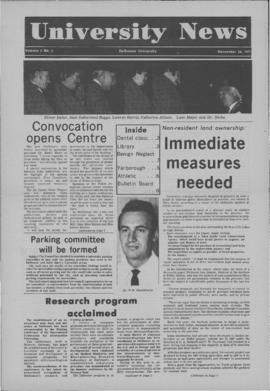 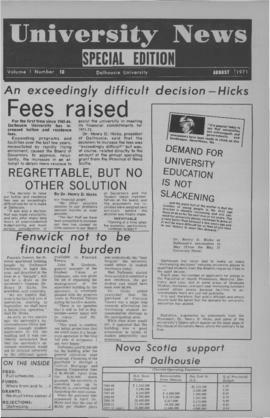 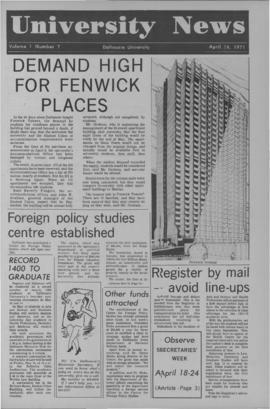 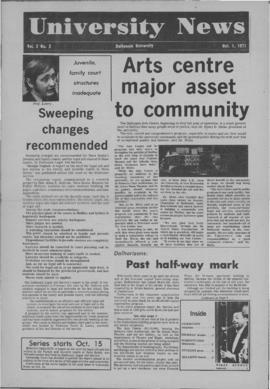 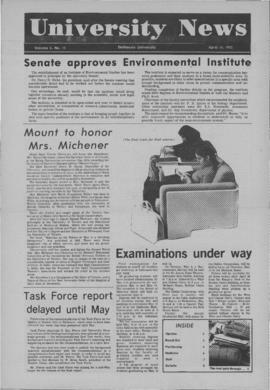 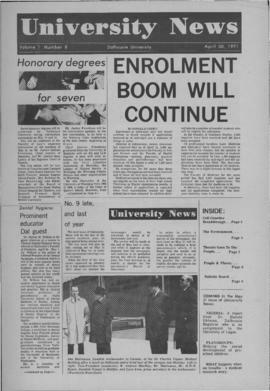 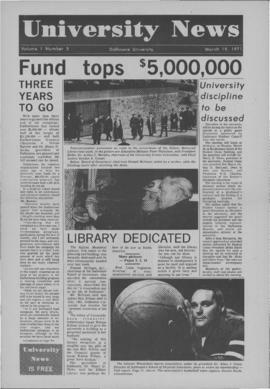 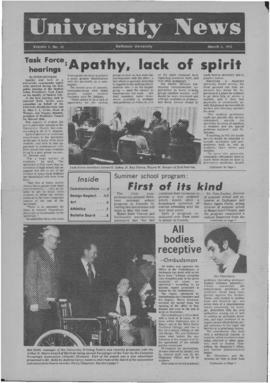 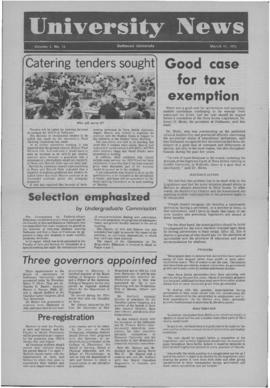 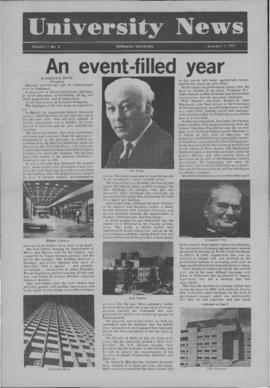 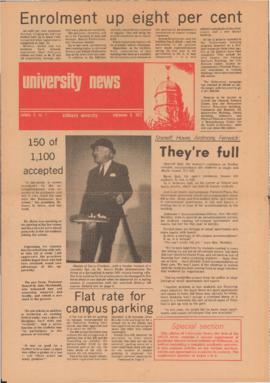 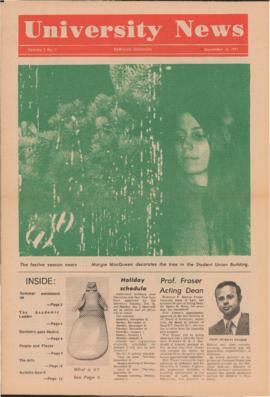 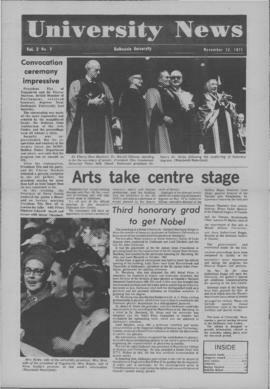 Subseries contains 12 volumes of the University News covering the period 1971, to 1983. 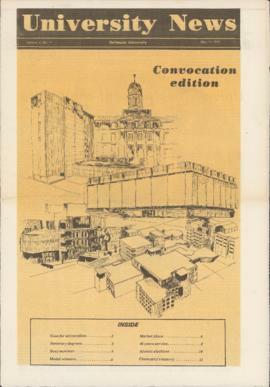 Miissing volume 12, 1981-1982. 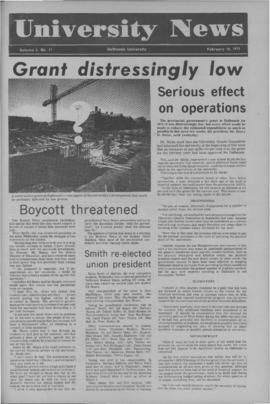 Many print issues of the University News are fragile and extremely brittle. 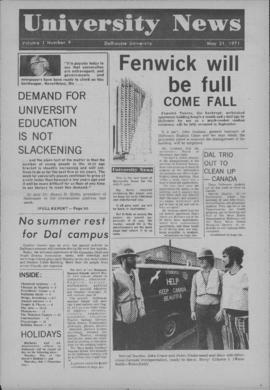 Tile changed from Dalhousie University Newsletter commencing in 1971. 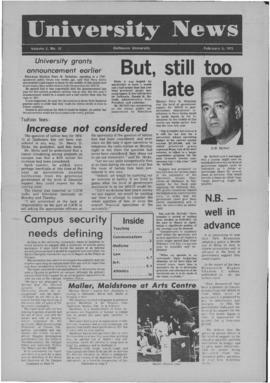 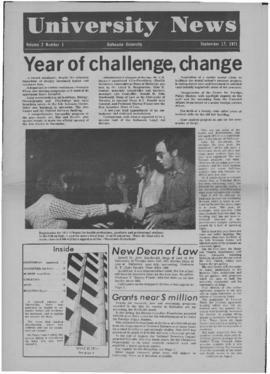 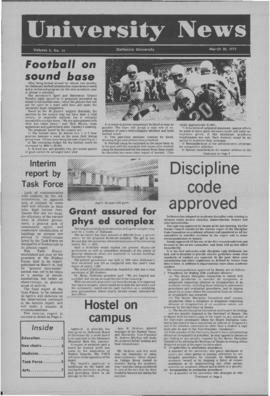 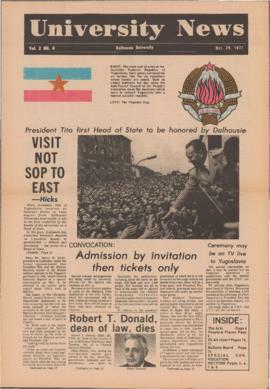 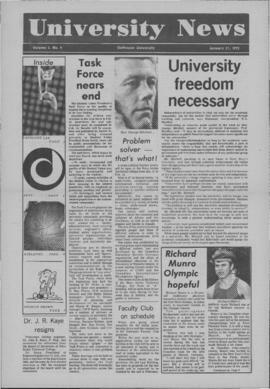 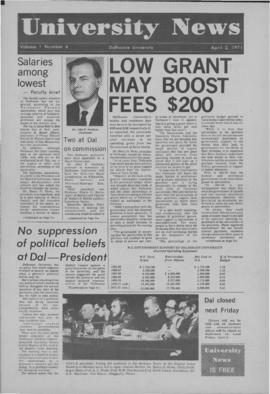 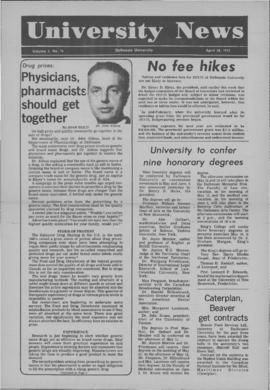 Title changed to Dal News / Dalhousie News / Dalnews commencing with v.14, 1983.